What is that on my shoe? Some may call it endoplasmic reticulum, some may run screaming from the blob, and still others might simply say that the dog just yacked in the yard. Me, I just call them cool and with all the rain and humidity in the last couple weeks, the Plant Diagnostic Lab has had a run on slime molds. Slime molds are unique fungi commonly found in turfgrass systems. 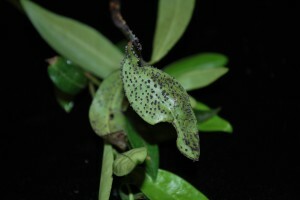 These organisms are not pathogens. 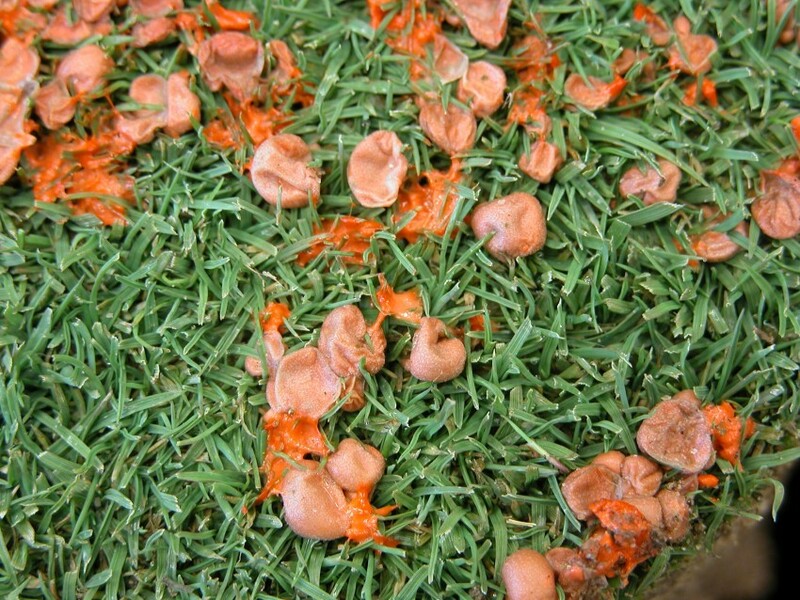 They spend much of their life living as single celled microorganisms feeding on other microorganisms and decaying organic debris in the soil and thatch. 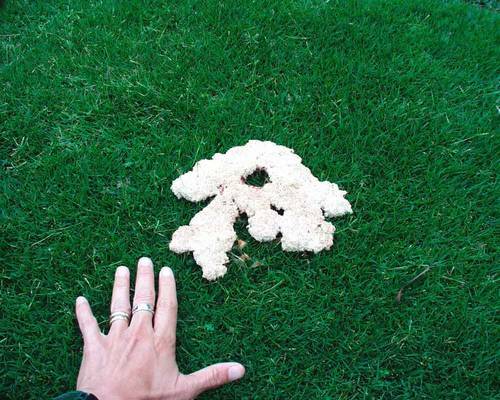 During periods of warm, wet weather, however, slime molds migrate onto the surfaces of turfgrass leaves where they produce their reproductive structures. These structures are called plasmodia and are visible to us as white, blue, red, yellow or gray piles of nastiness. 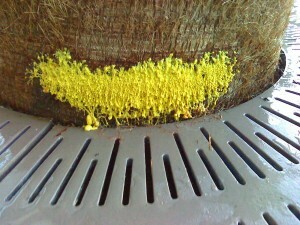 Slime mold plasmodia eventually dry out and produce sporangia and spores that fall back into the thatch to overwinter. 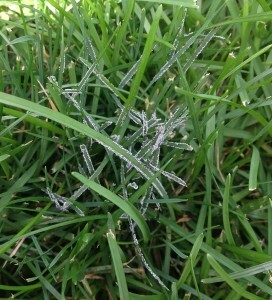 In cool, humid weather, each spore absorbs water and cracks open, birthing another amoeba-like spore that moves. 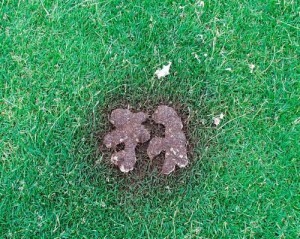 These amoeba-like spores feed on other microorganisms and decaying organic matter, but do not infect living turfgrasses. Eventually, and often in response to waning food supplies, these spores begin to unite and increase in size forming the plasmodium. 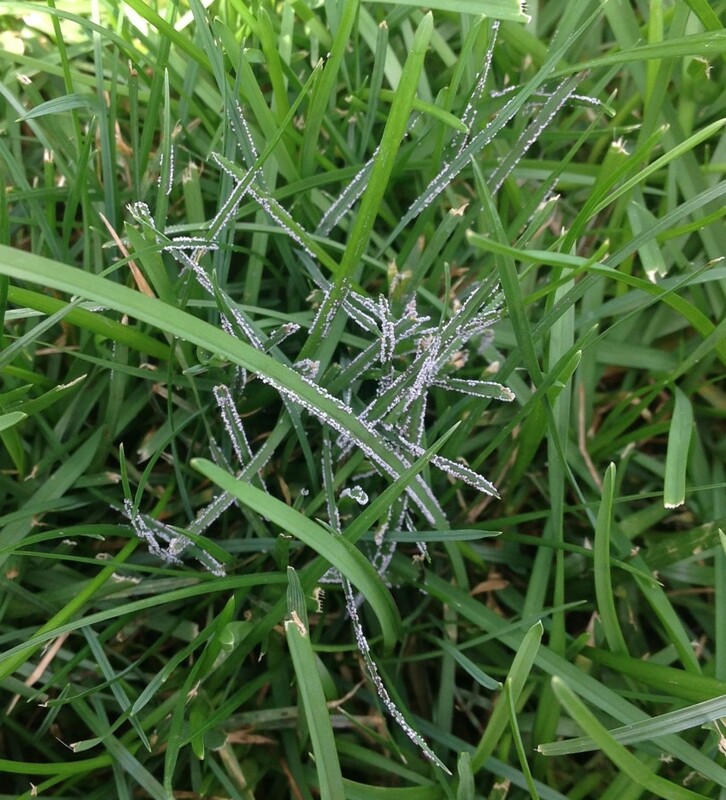 It is the plasmodial stage that produces the slimy overgrowth that crawls onto the turfgrass plants (or anything else for that matter). Slime mold plasmodia may shade turf and cause leaf yellowing, but the damage is seldom severe. 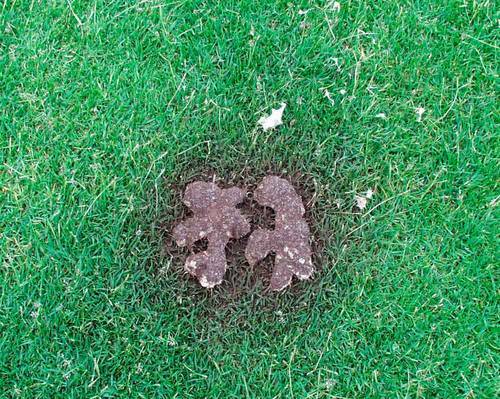 Generally, removal of the plasmodium or the dry spore masses with a stream of water, or by mowing, raking, brushing, or sweeping with a pole is all that is required to return the grass to a normal appearance. 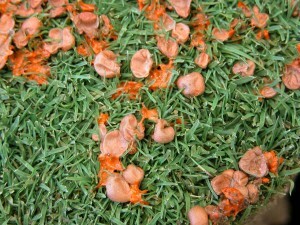 Chemical control is ineffective and unnecessary. You know, enjoy them for what they are, then clean up the yack! And if you have a little free time, take advantage of the awesome videos of these unique organisms on YouTube!